The office that creates over a thousand nautical charts turned some heads in aviation when it announced on Oct. 22 that the end will come for paper nautical charts on April 13, and thereafter nautical charts will only be available through various methods of electronic distribution and print on demand. In response to the announcement, Tyson Weihs, co-founder and CEO of ForeFlight LLC tweeted, "The future is electronic. NOAA to discontinue paper charts." After a trip to Patriots Point Naval and Maritime Museum in Mt. Pleasant, S.C., at the age of 12 with his Boy Scout troop, Jason Nadle knew he wanted to join the military. Then a visit to Ti-Co Warbird Air Show two years later prompted Nadle's decision to become an Air Force pilot. By 16, he solo'ed in a Cessna 172. Cessna Aircraft is looking to beat back encroaching entry-level light jet competition with its new M2. But can a nearly 25-year-old fuselage design do the trick? The market is about to find out. The new Citation M2, a refreshed version of the company's smallest Model 525 — the CitationJet — is nearing certification. In an emergency, you’d go to the ends of the earth for insurance services and protection — so why not just already have them in place? Learn more and get an online quote. Deep Vein Thrombosis (DVT) is a condition in which a clot, or thrombus, typically forms in a deep vein in a leg. People with a DVT may notice pain and swelling in the leg where the clot has formed, though smaller clots may not cause any symptoms. The major problem occurs when a part of the clot breaks off and flows to the lungs. This condition, called a Pulmonary Embolus (PE), can cause severe injury or death. DVTs are known to occur in about 1 out of 1,000 people in the general population from all causes. We all learn the basics of flight early. These sometimes become so automatic that we do them without thought. But, it's good to bring them to mind. Try these questions. Information is from the FAA, but times, aircraft models and conditions change. 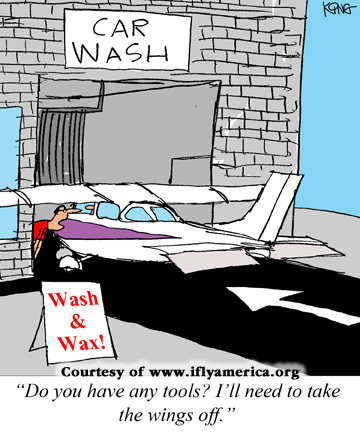 Listen to your instructor, aircraft demonstrator or examiner if their responses differ. IFA is not responsible for any differences. Fly safely. 1. Night flying usually requires switching attention from outside the aircraft to the instrument panel. This should be done before losing outside references. When would this usually be? 2. When one flap deploys or retracts while the other remains in position, there will be a roll toward the wing with least flap deflection. What is this split-flap situation countered with? Officials at Mokulele Airlines in Kailua-Kona, Hawaii, praised the pilot and co-pilot who successfully landed a commuter flight on Maui's Pi'ilani Highway. "We are very grateful that due to the skill of our pilots and support team, this flight was able to land safely," said Mokulele CEO Ron Hansen in a statement. Despite only having a learner's permit to drive a car, Samantha Williams, 16, of Kendallville, Ind., is allowed to fly small aircraft. Williams even has one of her own. "I can fly by myself in an airplane right now, but I can't drive by myself in a car until December," she said. The Lambert Airport in St. Louis is now hosting a small airplane once owned by Charles Lindbergh. The 1934 D-127 Monocoupe aircraft took Missouri History Museum officials approximately nine hours to install. The plane, once again, hangs over the C Concourse checkpoint in Terminal 1. The John Wayne Airport in Santa Ana, Calif., is well-known for being a hub for small-plane owners. According to the Orange County Register, small planes and other noncommercial aircrafts account for more than half of the airport's 286,000 takeoffs and landings in 2012. However, a recent drop in small-plane activity indicates that John Wayne's days of being a mainstay for aviation buffs might be over. Licensed to fly an airplane at 17 years old, Gregg Williams has spent much of his time in the cockpit of an airplane. Williams hails from Huntsville, Ala. — where he spent many days at nearby Moontown Airport in Madison. "Both my grandfathers and my dad are pilots," he said. "I was an airport rat. I went with my grandfather to the airport, a little grass airstrip in Alabama. I grew up there at Moontown and would just hang around the airport."